The sciatic nerve is the longest nerve in the body. It runs from the bottom of your spine down the back of your thigh into your calf and ends in your foot. When this nerve is irritated it can produce pain, tingling, numbness and pins and needles down the back of the leg. It’s usually accompanied by lower back pain. CBD derived products have also seen promising benefits in relation to sciatica in recent years. The pain can often be severe, and unremitting. It nearly always requires the patient to take strong painkillers. 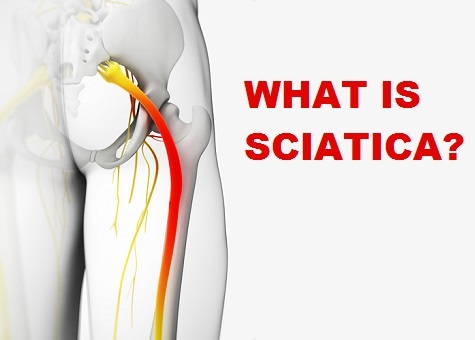 Generally, prolonged sitting, driving, or excessive hours at a desk can increase sciatic symptoms. The sciatic nerve becomes irritated in a number of ways. If you have a problem with one of your intervertebral discs in your lower back you may experience sciatic symptoms due to inflammation around the problematic disc. You may also experience sciatic symptoms if you’ve prolapsed or “slipped” a disc and if this misplaced disc is asserting pressure on the sciatic nerve. Sciatic like symptoms may also exist in the absence of any disc injury, where soft tissue tightness or muscle spasm in the vicinity of the sciatic nerve produce symptoms similar to those of true sciatica. This is the case in a similar but less serious condition known as piriformis syndrome. 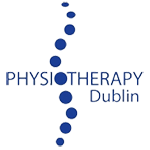 Sciatica is diagnosed by a chartered physiotherapist or doctor, through a combination of questioning of the patient and of physical examination of their back. As well as analgesia and anti-inflammatories, specific stretching exercises as well as manual therapy techniques, massage and rest all combine to successfully treat sciatica in the vast majority of cases. This debilitating condition usually resolves within six weeks, with the first two weeks being the most painful. Second or successive episodes of the condition can sometimes last longer. In rare instances surgery is required to correct the problem where, there is a significantly prolapsed disc which is not healing by other methods.